Being arrested for driving while intoxicated (DWI) is not an experience any of us hope to go through. Unfortunately, DWI arrests are common in the Lynchburg area. If you or a loved one has been arrested for a DWI, don’t panic. 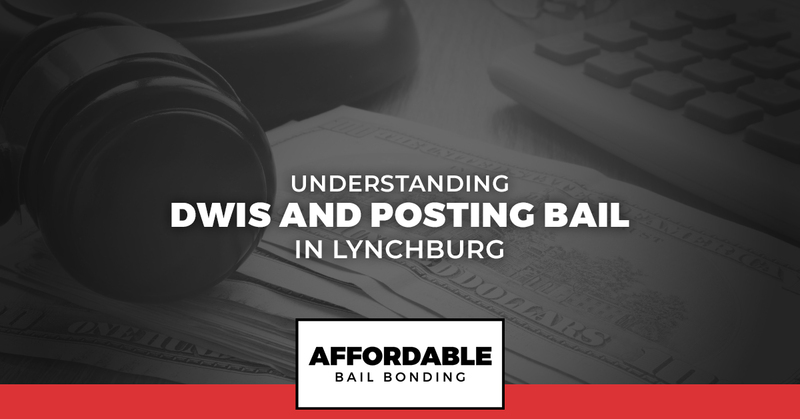 Our team is here to help you access affordable bail bonds in Lynchburg. We want to ensure that you or your loved one can bail out of jail right away and get to work building a defense for your court date. Learn more about how DWIs in our state work and the process for posting DWI bail. What Constitutes As Driving While Intoxicated? In most cases, someone who is pulled over and charged with a DWI was doing something else that led to the officer pulling them over. For example, if you were swerving in and out of your lane, a cop might pull you over to see why you are driving recklessly. At this point, the officer may determine that you are under the influence of alcohol and request that you submit to a breathalyzer or other roadside test. In other cases, something else tipped the cop off to pulling you over, such as a burned out tail light or expired license plate. While most of us understand the risks of driving under the influence, there are other scenarios that aren’t as expected in which you could be facing a DWI. For example, if you are driving home from a party and realize you are too drunk to drive, you might pull off on the side of the road. You might then lay down in your car to sleep until the next day when you are safe to drive home. If a cop finds you on the side of the road and you have your keys on your person or anywhere in the car with you, you can still be charged with a DWI even though you were not operating the vehicle. For this reason, if you decide to sleep off your booze, be sure to do so away from your vehicle entirely. Another situation where you might face a DUI without expecting to do so is if you are under the legal age of drinking and you had any alcohol whatsoever. For those who are 21 or over, the legal BAC level is .08 percent but for those under the legal drinking age, no amount of BAC level is acceptable. Most of the time, those who don’t think they will be charged with drinking and driving truly believed that they were under the legal limit. Perhaps you were out with friends and you only had a few drinks. You get done at the bars and feel 100 percent safe to drive. You feel completely in control of your vehicle and see no issue with your driving. Even if you don’t feel intoxicated, you could still be over the legal limit. 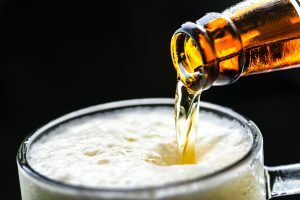 Depending on your weight, what types of drinks you had, and the period of time over which you consumed the alcohol, you could blow over the legal limit without realizing you are that intoxicated. The bottom line is that if you or a loved have been arrested for drinking and driving and are now facing a DWI charge, the first goal is getting bail. When it comes to posting DWI bail in Lynchburg, we have made the process simple. Because bail amounts are often set too high for the average person to afford, a bail bondsman from our team will only require that you pay a fee or percentage of the bail amount. In Virginia, bail bonds are set at around 10 percent of the bail amount. Are you in need of help posting bail for someone who was recently arrested for drinking and driving? We can help you with affordable DWI bail bonds in Lynchburg and surrounding communities. Our goal is to post bail as quickly as possible so that you can return to your normal life and prepare for your trial. We are available 24/7, so don’t hesitate to reach out no matter what time it is.